Brownie is a SURVIVOR. Brownie was hit by a car as a kitten in San Antonio, Texas, and was picked up by animal control. They found that her spine was fully severed, and she was pregnant at 10 months old. She had abscessed bite wounds, and was in really bad shape – she had been attacked and impregnated by another cat while helpless, and broken. Despite all of this, she was still nuzzling, purring, and begging for attention. Brownie got lucky, and was picked up by a veterinarian that runs a rescue called Hand Me Down Hounds. Dr. Emily fixed her up as best she could and sent her to Wisconsin, where she could receive the proper care to lead a happy life at Safe Haven Pet Sanctuary. Brownie is still paralyzed from the waist down, but she gets around just fine. Brownie can’t go potty on her own. She needs her bladder expressed 4 times per day – it’s easy to do, and we can teach anyone how it works. She’s okay with wearing clothes, and diapers, and sleeps in her kennel over night on her potty pads. 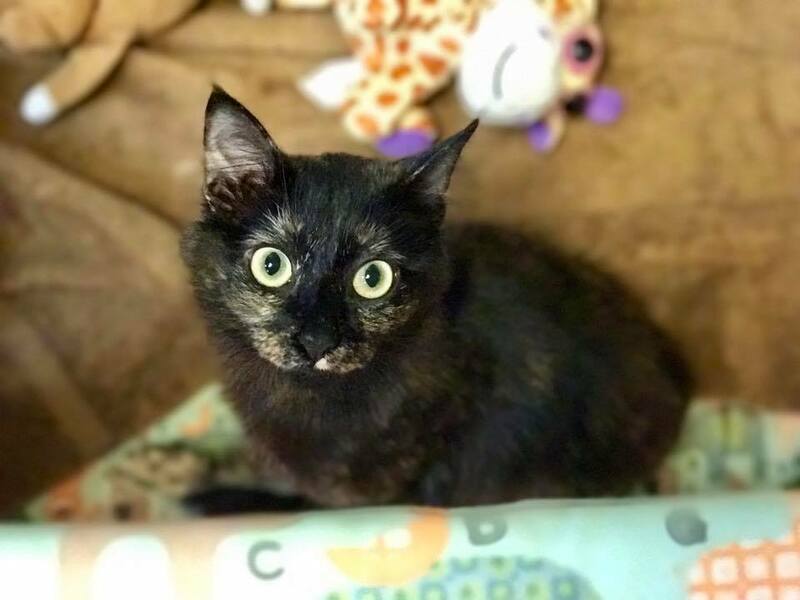 Ideally, Brownie would like to find a human who spends a lot of time at home, and has experience caring for kitties with special needs. She’s basically like a permanent human baby. She needs her diapers changed, and help going potty, but enjoys chasing toys, wrestling with stuffed animals, and watching TV. Brownie is used to spending time in her baby pen, and scoots around in a onesie for a few hours every day. She likes when her baby pen is set up by a window, or TV. She loves to watch birds on YouTube. If you are interested in adopting Brownie, we are more than willing to train you on her required skill set, and set up a Q&A appointment with her veterinarian. For a $100 donation she can be part of your family!